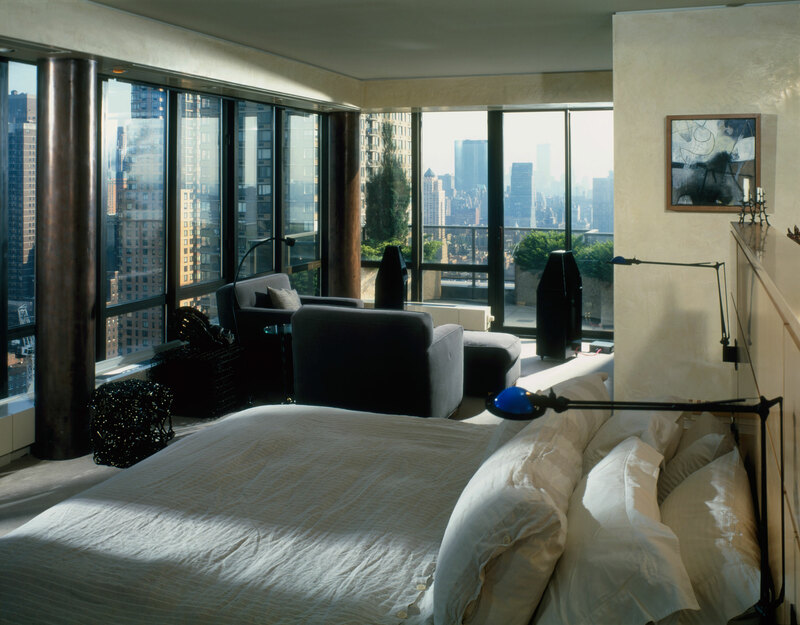 This penthouse, located in the Alfred building, overlooking Lincoln Center, offered a unique opportunity to create a dramatic space for art with sweeping 360 degree views of Manhattan's upper West side. The 6,700 square foot space, required an extensive renovation, including completely gutting nearly all interior walls and ceilings, removal of all existing finishes and cabinetry and rerouting of some plumbing and mechanical ductwork. 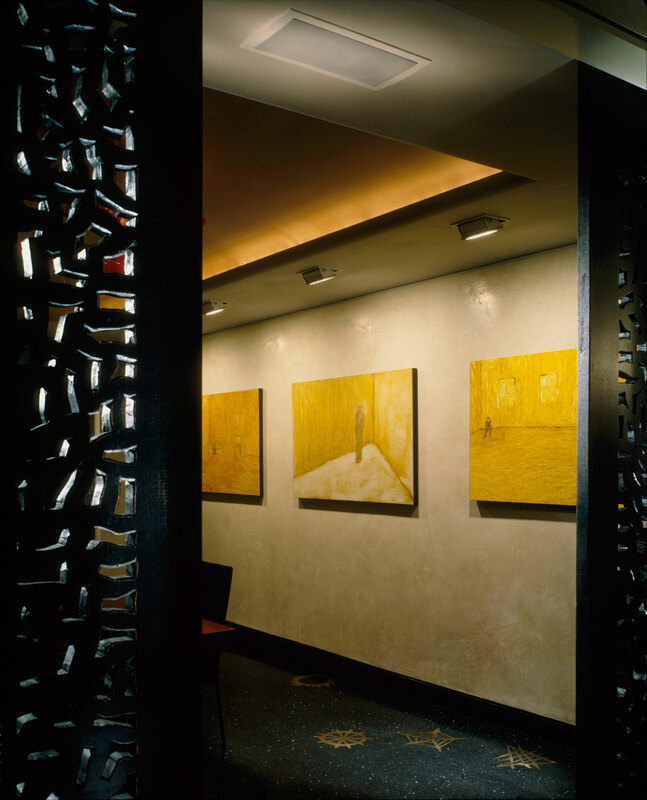 In the process of renovation, useable square footage and visible window area was actually increased providing a much more open and dramatic space in the entry, living and gallery areas which all flow into one another. 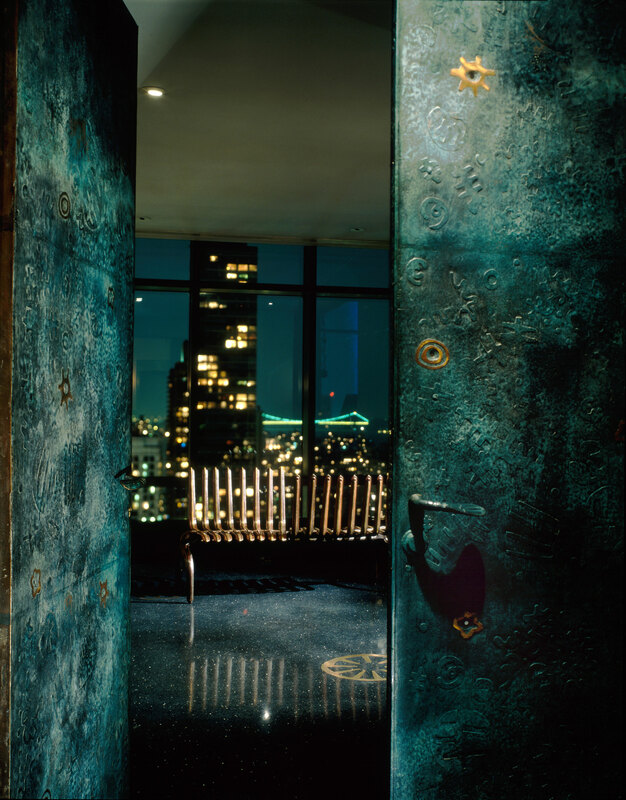 Careful attention was paid to the simple details that accentuate the quality finishes specified. Ebony wood floors give the living area a warm yet urban feel, while black travertine provides a sophisticated background for the bronze insets by Michele OkaDoner in the entry, dining, kitchen and main corridor. The entry walls are paneled in warm tiger maple. 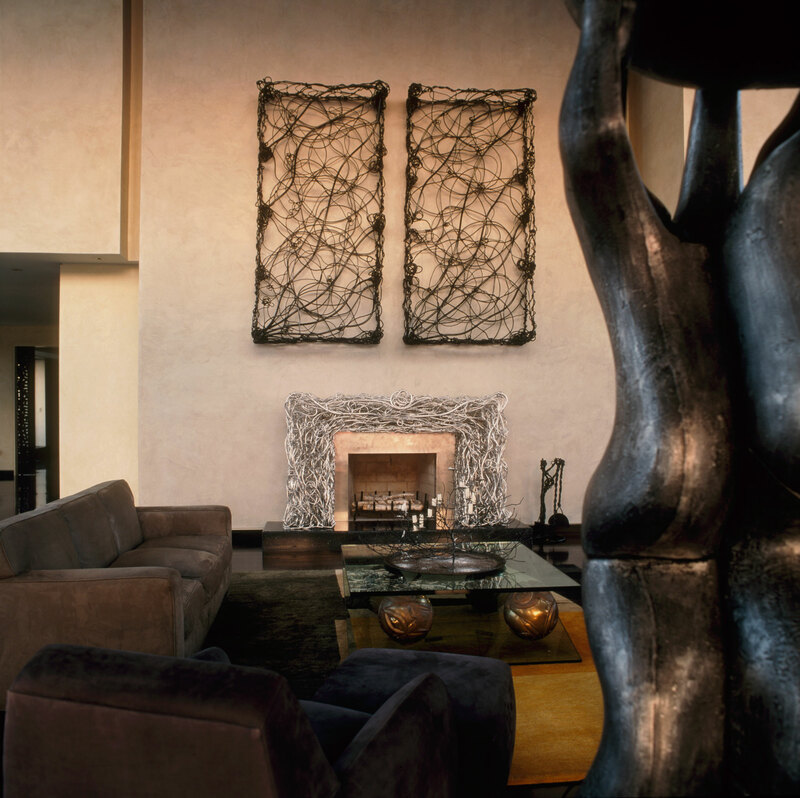 Artisan plaster walls provide an interesting, yet subtle background for the owner's artwork in the living and gallery areas. The kitchen is high-tech and equipped for entertaining. 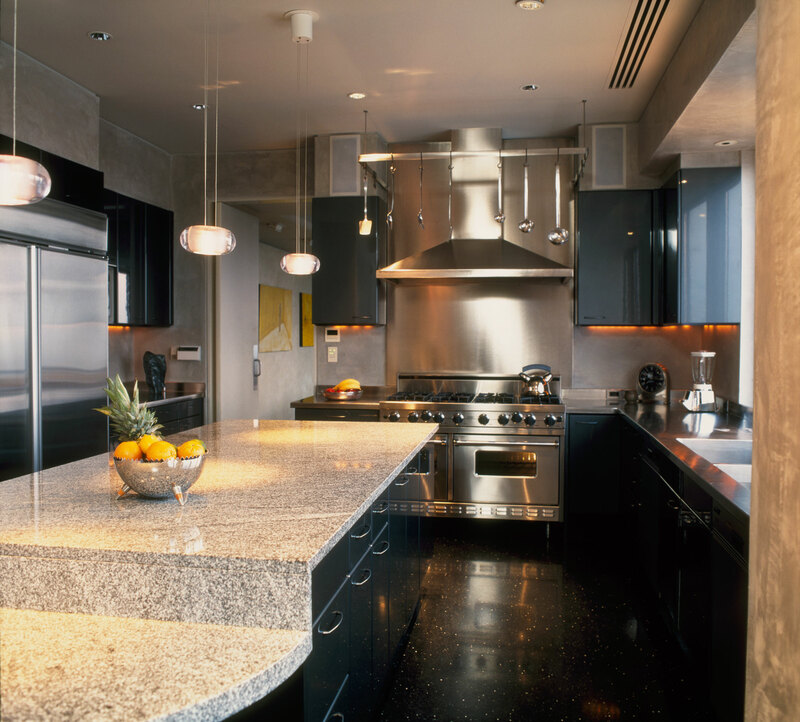 Stainless steel countertops, range hood and appliances accent the dark gray metallic cabinetry and Absolute black granite island. Lighting was designed to be as flexible as possible while providing the best light for the artwork with special attention to lighting the Chihuly chandelier both from within and without. The lighting and sound system are easy to manipulate with the integrated system specified. Acoustical ceiling panels were utilized to help with the acoustics for the state of the art sound system that was installed throughout. 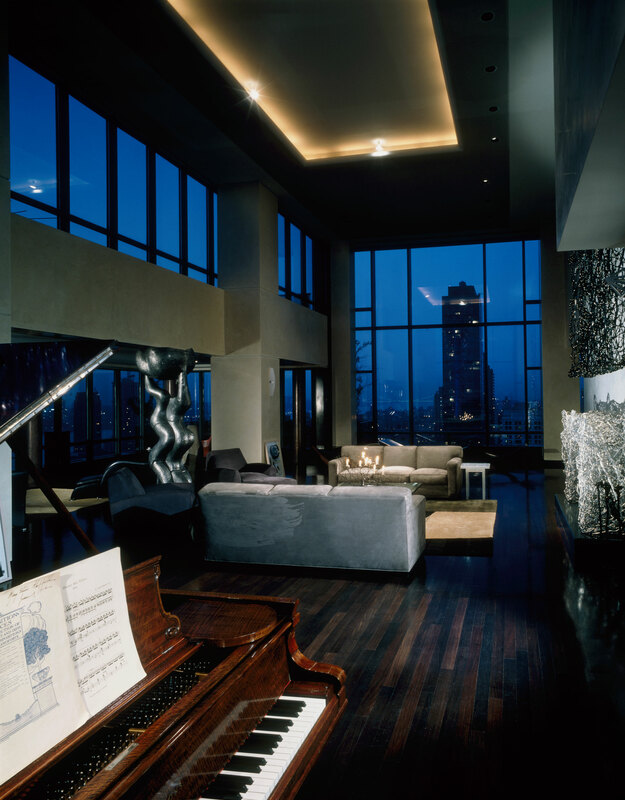 This is a full-time home that provides a wonderfully dramatic and interesting atmosphere for entertaining in the heart of the performing arts district of Manhattan. 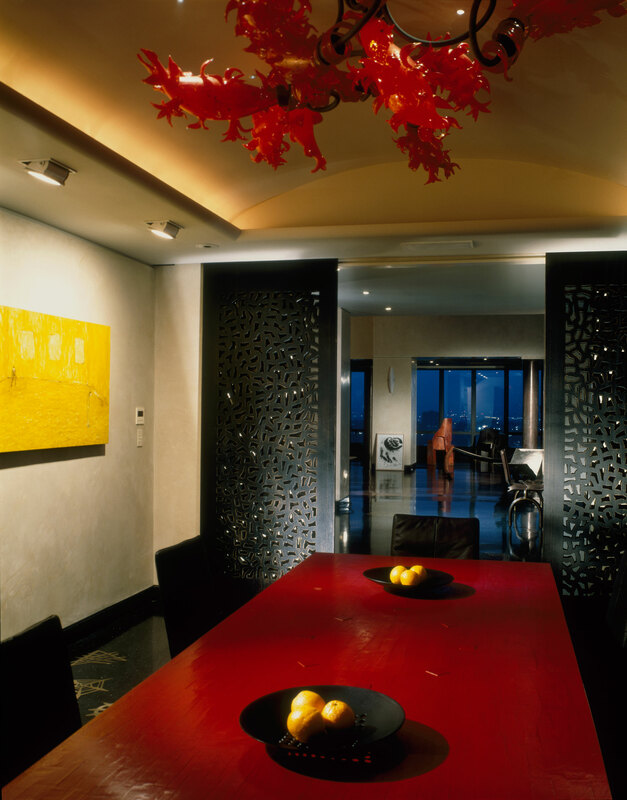 The architect, interior designer and owner worked closely with artists throughout the project.